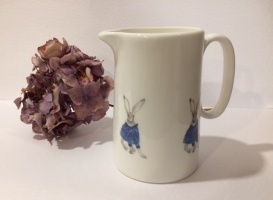 A fine bone china jug from The Hare in The Sweater. 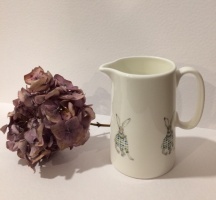 This original image by Sam Purcell has been added to a lovely china jug. Measures 11.5cm high with four repeating images of Hare in a blue calico sweater around the jug.